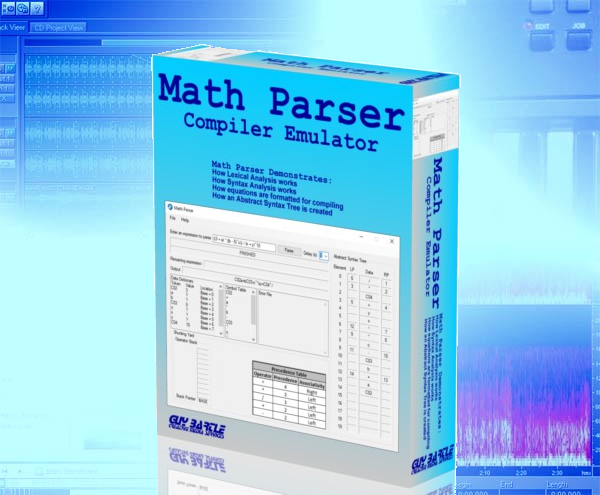 Math Parser supports learning how a compiler creates an executable program file from source code. Using mathmatical formulae as an input, Math Parser shows how the Lexical Analysis and Syntax Analysis stages of compilation are performed. 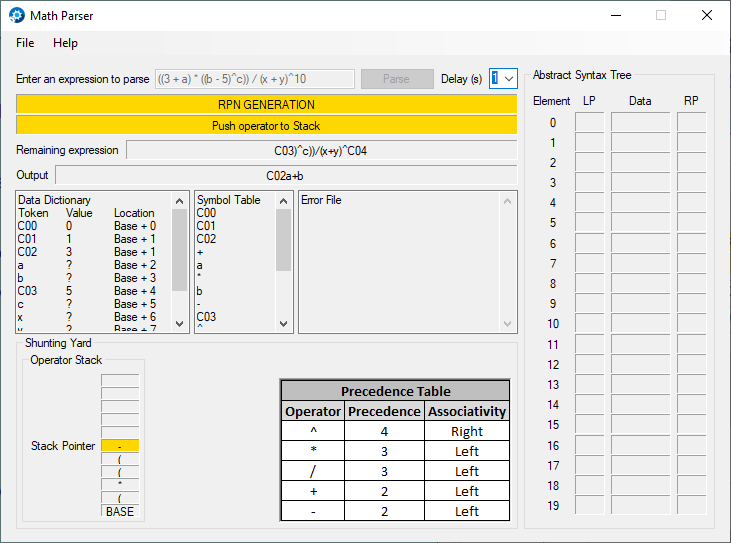 In addition, Math Parser demonstrates how mathmatical formulae are formed into Reverse Polish Notation (RPN) for execution using the Shunting Yard algorithm and the Stack data structure. 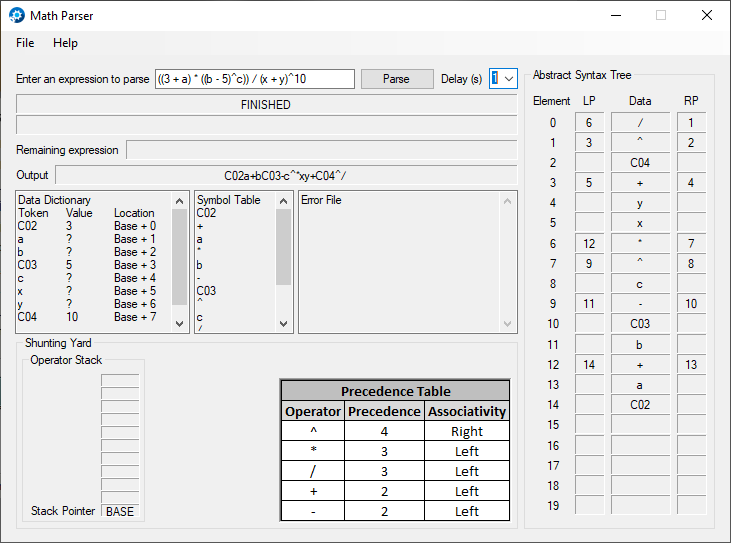 Math Parser also shows how an Abstract Syntax Tree can be created from the RPN, showing how a recursive algorithm is used in practice. Fully supported by a comprehensive Help file, Math Parser includes all the algorithms used and explains all the technical terminology.